I don't have any children's books for you today, but I do have a pretty good book for adults. This time it is a non fiction book. I was returning books to the shelves at work when the cover of this book caught my eye. It just screamed "check me out", so I did. I'm obsessed with fonts and type. I have about 1500 different fonts on my computer right now. Do I need that many? Yes I do. Probably not, but I have them anyway. 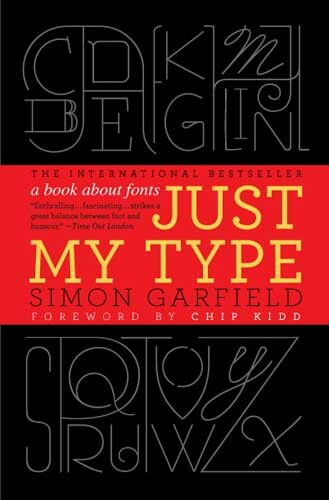 This book gives much more than the history of different type faces and fonts. 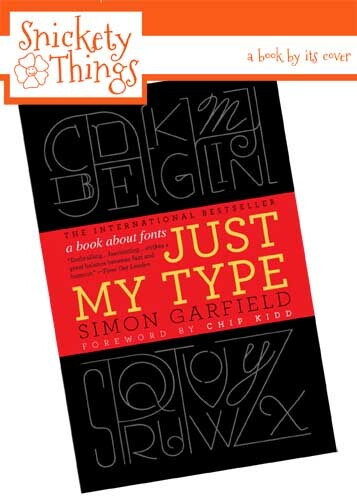 It discusses the image fonts can give a company or person, how the fonts you choose say more than you think, why we know the names of fonts today when just a few years back they were unknown. Did you know there is a movement to ban Comic Sans and why? Or that IKEA caught a lot of flack when they recently changed the type they used? That some fonts are supposed to be readable only when printed very large and others only when very small? Did you know that a type face can have a gender or can even help with elections? Did you know that type and fonts are two different things? Did you know I have a new fascination with the ampersand? I really do, just another form of my OCD showing itself. I know this book may not be for everyone, but I found it very interesting. It very informative without being "teachy". This was the perfect book for a break from fiction. If you make Subway art, or even like it, you should really check this one out.